Arned Lee Hinshaw, Jr.1 [Ned Hinshaw1,3,4]. 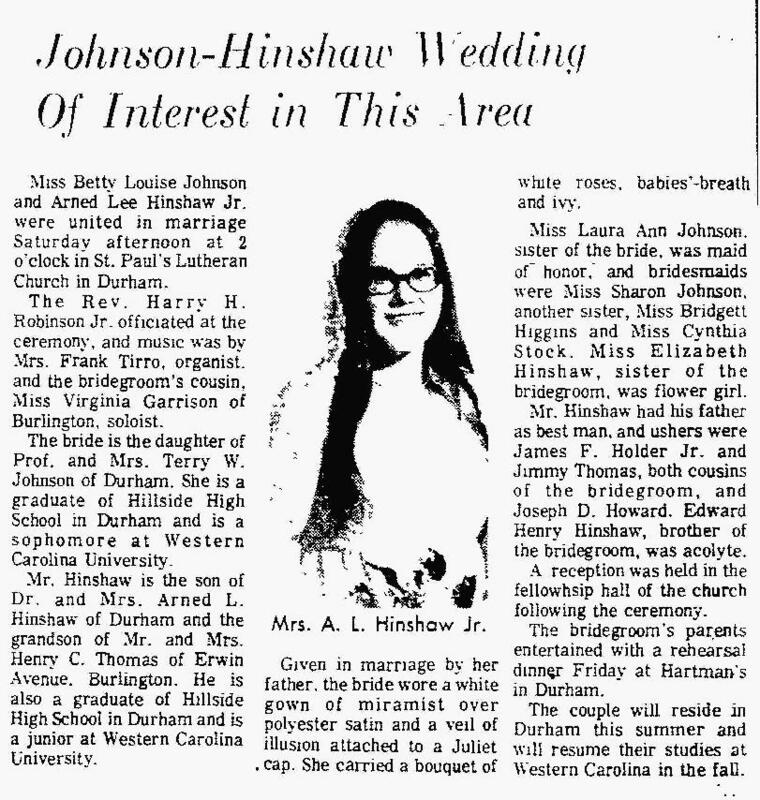 Ned & Betty's marriage was announced in "The Daily Times News" (Burlington, North Carolina) on Monday, June 17, 19745 (see scan below). Contribution from Melissa Kay Hinshaw Owens and Ed DelBaggio () citing: "Heartbreak Ridge" cover. "The Daily Times News", Jun 17 1974; http://www.ancestry.com.